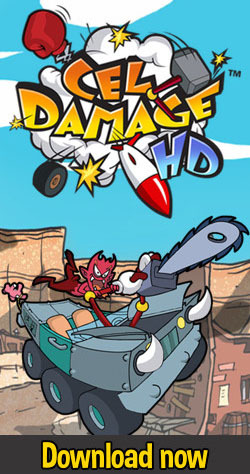 Cel Damage HD Available Now on Nintendo Switch! Call your friends and get your couch ready. Cel Damage HD hits the Nintendo Switch on March 28th! You can now play Maize with a controller! Nvidia selects Maize to be part of the Indie Spotlight! We’ve been wanting to announce this for a while, and finally, the time has come! Finish Line Games is proud to announce a new title, something new and completely ridiculous: Maize!